We arrived at Disneyland that morning and were greeted by Jim. He had our passes, and wrist bands for us so that we could easily be identified as a group. 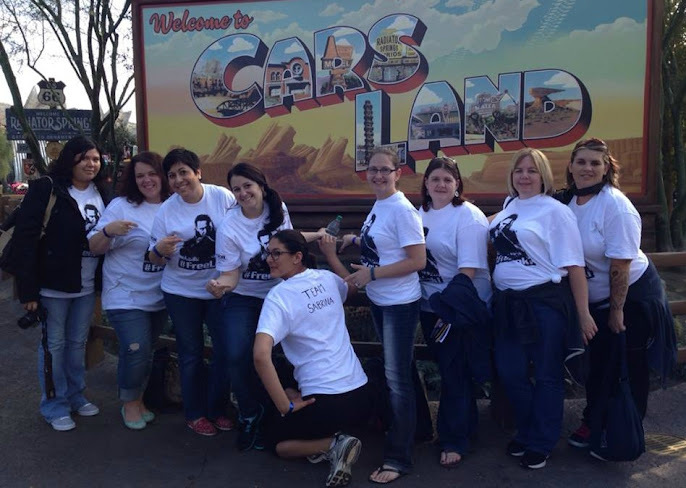 I don’t think that there was any possibility that we would be mistaken for anything but a group: 25 bloggers plus three group leaders, all wearing our #FreeLoki t-shirts. Since we were such a large group, we broke off into smaller groups with our team leaders. I was on #TeamSabrina and we had such an awesome time. 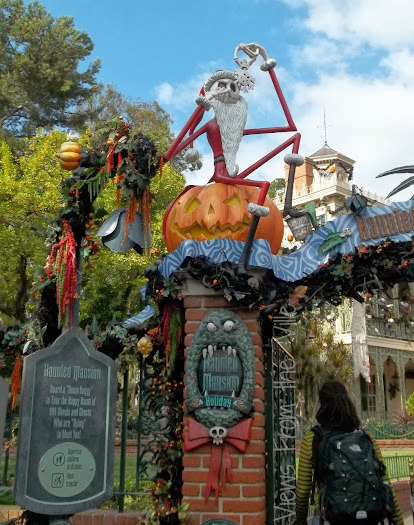 In the morning, our three teams converged on the Indiana Jones ride, the Haunted Mansion (which had been converted to a Nightmare Before Christmas theme for Halloween and Christmas and was awesome), and the Pirates of the Caribbean ride. We received a lot of looks and comments throughout the day as we ran around the park. And also a number of thumbs-ups. The number of Loki fans wandering the part was impressive. One person that didn’t find our shirts quite as awesome? Thor. 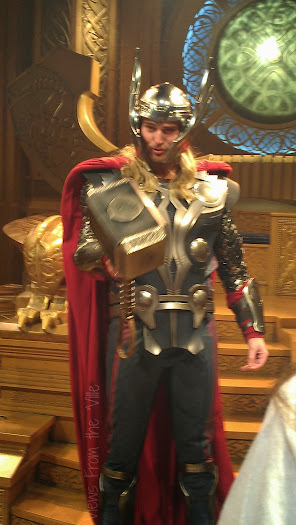 Yep, we met the god of thunder himself at the new Thor: Treasures of Asgard exhibit. He wasn’t quite sure what to make of us rooting for his brother. We actually were the very first members of the public to experience the exhibit, which is loaded with Asgardian props from Thor: The Dark World. After the Thor: Treasures of Asgard exhibit we all took a break to have some lunch. Then it was off to explore more of Disneyland, including a ride on Star Tours. 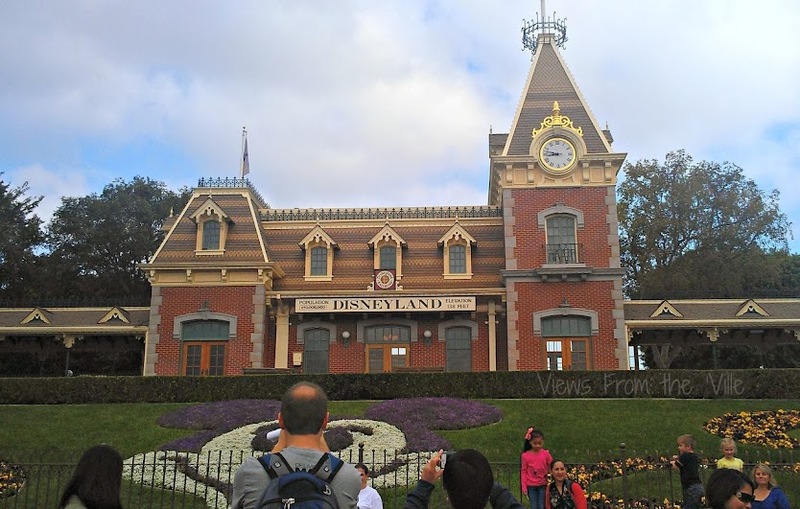 We hopped over to visit Disney California Adventures so that we could all peek at Cars Land, and also had the chance to ride the Little Mermaid ride there, also. 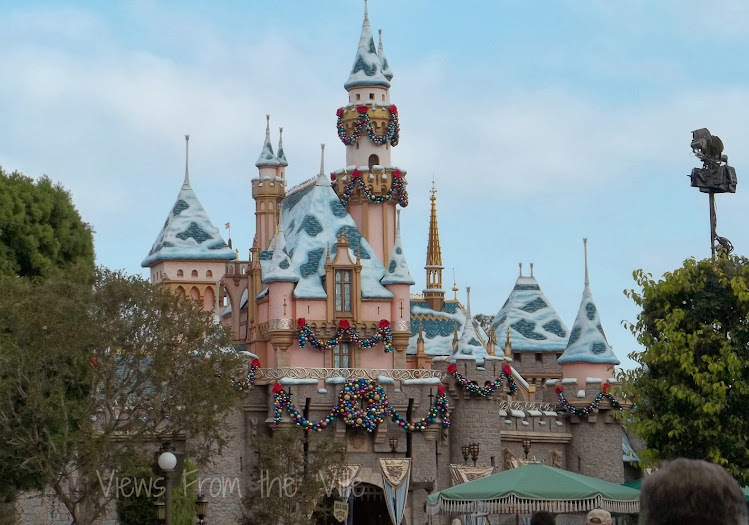 If you’re in the area, stop by Disneyland and see it now that it’s had it’s holiday makeover. All of your yearly holiday favorites are there, plus there are some great new additions. 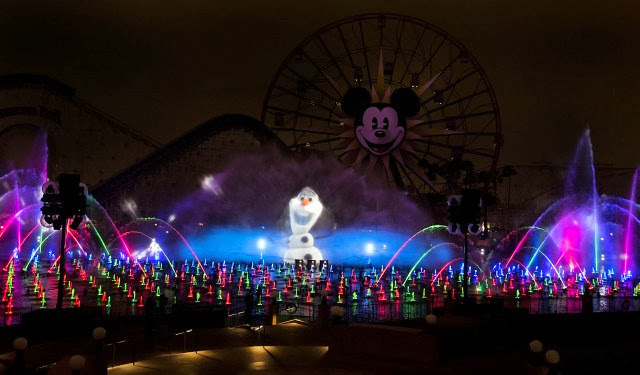 The World of Color show at Disney California Adventures is now “World of Color – Winter Dreams” and features the fun new characters – like Olaf and Elsa – from Disney’s Frozen, in theaters on November 27. There’s also a new celebration inspired by Latino culture and celebrations. Disney ¡Viva Navidad! features music, food, dancing and an exciting Street Party multiple times a day. It begins Nov. 15 at Disney California Adventure. This precedes our Jan. 3-6 Dia De Los Reyes celebration for Three Kings Day. The Jungle Cruise also has some new holiday-themed jokes and updates. 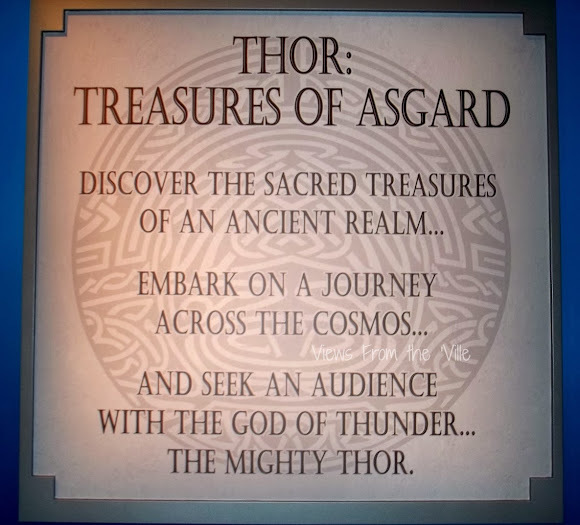 When do you plan to visit the Thor: Treasures of Asgard exhibit? Fantastic exhibit! I love the photos! Especially the team Sabrina one! Wow it looks really neat! It’s so cool that you got to preview it early. LOL, I love Sabrina. How fun! We ran out of time and didn’t go to Cars Land but there’s always next time! WOW Fantastic, I would have loved to be there, congrats! !